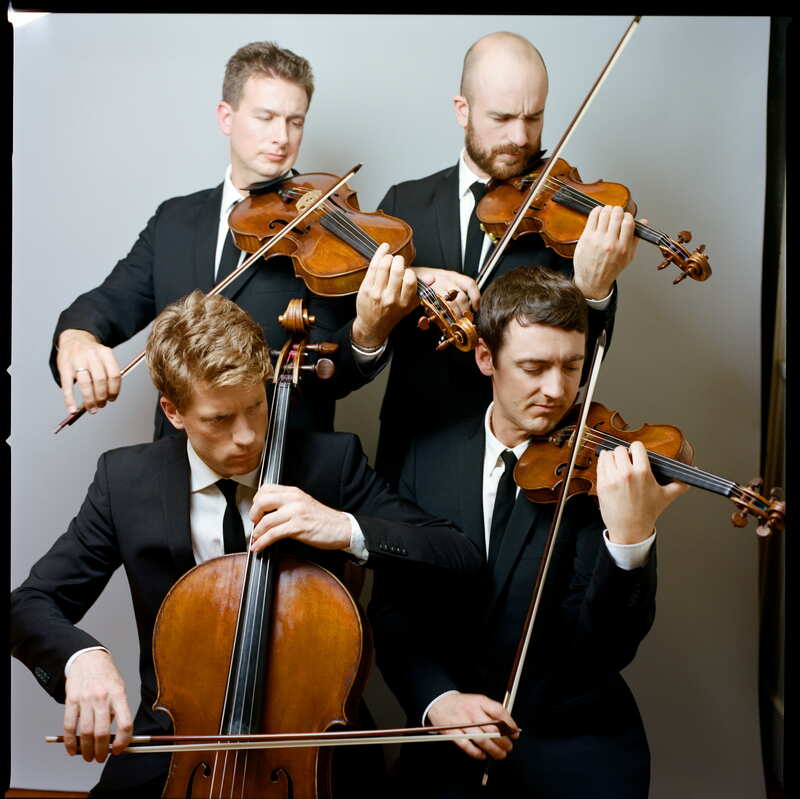 The Calder Quartet, called “outstanding” and “superb” by the New York Times, performs a broad range of repertoire at an exceptional level, always striving to channel and fulfill the composer’s vision. Already the choice of many leading composers to perform their works – including Christopher Rouse, Terry Riley and Thomas Adès – the group’s distinctive approach is exemplified by a musical curiosity brought to everything they perform, whether it’s Beethoven, Mozart, Haydn, or sold-out rock shows with bands like The National or The Airborne Toxic Event. Winners of the 2014 Avery Fisher Career Grant, they are known for the discovery, commissioning, recording and mentoring of some of today’s best emerging composers (over 25 commissioned works to date). The group continues to work and collaborate with artists across musical genres, spanning the ranges of the classical and contemporary music world, as well as rock, and visual arts; and in venues ranging from art galleries and rock clubs to Carnegie and Walt Disney concert halls. Inspired by innovative American artist Alexander Calder, the Calder Quartet’s desire to bring immediacy and context to the works they perform creates an artfully crafted musical experience. The Calder Quartet formed at the University of Southern California’s Thornton School of Music and continued studies at the Colburn Conservatory of Music with Ronald Leonard, and at the Juilliard School, receiving the Artist Diploma in Chamber Music Studies as the Juilliard Graduate Resident String Quartet. The quartet regularly conducts master classes and has taught at the Colburn School, the Juilliard School, Cleveland Institute of Music, University of Cincinnati College Conservatory and USC Thornton School of Music.